An LTE Router is technically a wireless modem, so a small transmitting and receiving station, which is designed for the LTE wireless data technology. Unlike the USB Stick, which can only have one device connected to the high speed data radio network, the router uses several computers simultaneously. 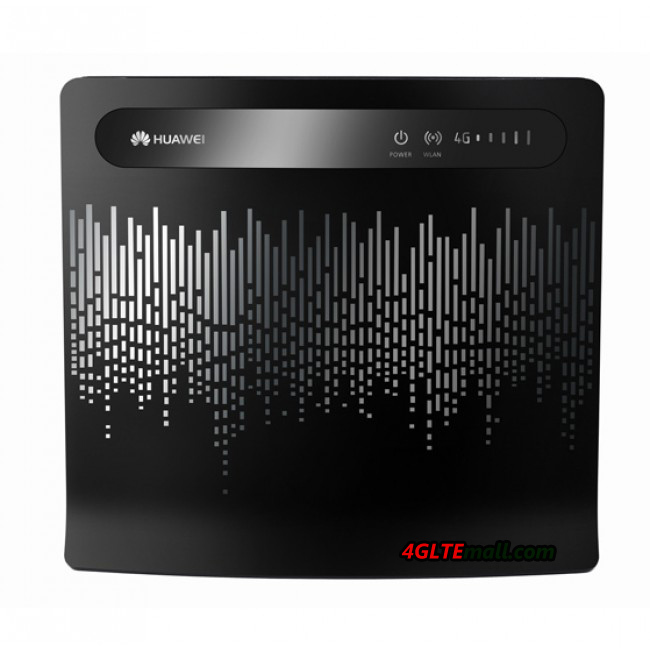 LTE Router is in two versions, most of them use it as a stationary device, which allows you to build a home or office WiFi network, there are also mobile devices that provides the same services when travelling. In some places over the world, the LTE network is first built in areas where there is no high speed internet at speeds exceeding one megabit per second. LTE is thus used only once as a steady replacement for fast internet access and in the second step as fast mobile technology. 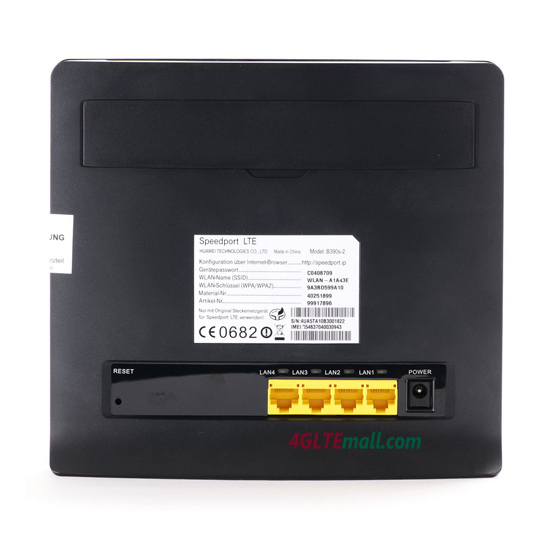 Therefore LTE router was firstly users as LTE modems as typical stationary applications. It is therefore not too surprising that Telekom was able to present their LTE Router to public as the world’s first mobile operator. At theoretical maximum speeds creates the telecom router 50 megabits per second, when download data at 10mbps when sending (uploading). The PC or laptop to wireless via WLAN (standard 802.11b/g) or wired (standard: IEEE 802.3/802.3u) can be connected. The router is sold by Telecom under the name Speedport LTE, there are for the LTE Speedport B390 from the Chinese manufacturer HUAWEI. At the Munich mobile operator Telefonica(O2), however, is a unit of Germany production in the sample phase, a Fritz Box by AVM Berlin. The LTE modem with a theoretical top speed of 100megabits per second and receive data at up to 50Mbit/s transmit data. LTE fritz box transmits in two frequency bands: 800Mhz and 2600MHz band. So the frequencies are provided in Germany to LTE. Except for the special case of Germany, LTE is built around the world from the beginning as a fast mobile Internet access. Therefore, mobile radio modems as the stick in the other countries are the first choice. Routers, which are mostly used in a stationary come, much later on the market. What should be considered when buying LTE ROUTERS? A router is used for multiple computers at the same time to be given an access to the internet. Regarding the wireless data rate, the more subscribers logged, i.e. a transmission tower and the more participants at a base station, the slower the data transmission. These fluctuating velocity, which never reached the heights that are announced in the mobile advertising, the user of a router must then share with each other again. The more devices via the router is active, the slower the speed of each computer. Those who want to obtain high speeds with LTE will take a USB Stick per unit, and then of course, a monthly fee occurs per device. Who wants to pay for the whole family or shared only a monthly subscription, can take a router, then of course move slowly, if at the same time invite the children on their computer music from the net. A second criterion for the selection of the router is the question of whether it will be used stationary or mobile. If it is used stationary, it is enough perhaps, if he is only capable of wireless data LTE technology. But when on the move, it should absolutely dominate the other popular wireless technologies in Germany, data from the GSM network and UMTS network, IE GPRS, EDGE and HSPA on board. If the LTE connection be reasonably equivalent DSL replacement, your router can be used as a telephone at the same time. It would be useful for a router also with an external antenna connector, which can be used in peripheral locations of masts improve the weak radio signal. This then ensures a faster transfer. Such antennas are in the consumer Internet, sometimes in the shop of the LTE party.